As all you authors are no doubt aware, and I am still learning, there may well be millions of potential buyers out there for your book but, if they do not know it exists, that knowledge serves little purpose! 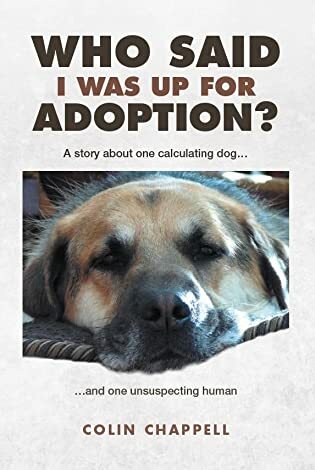 Apart from investing significant sums of money into a publicist (not an option with me), I just have to take advantage of every opportunity to draw attention to “Who Said I was up for Adoption?” and do whatever I can with it. Just recently, I was offered an opportunity to present myself to the Followers of Chris The Story Reading Ape’s Blog! Please wander over (link below) when you have a few moments and, who knows, you may find all sorts of stuff of interest there! My sincere thanks to Chris for allowing me to use his “space”! That’s actually a very nice synopsis of your book and your background. Great job! Thank you Jodi. Writing the book was so much easier than promoting it! I love that picture of you and Ray reading your book! Precious!